This year’s tornado season has started off as one of the deadliest in at least a decade. That means early warning systems and taking proper precautions are increasingly important. A tornado, or twister, forms when warm, moist air from the Gulf of Mexico collides with cool, dry air from Canada. For southern states, that’s most likely to occur in the spring, while summer is the more prevalent time further north. This weather condition spawns about 1,000 tornadoes a year in the United States. 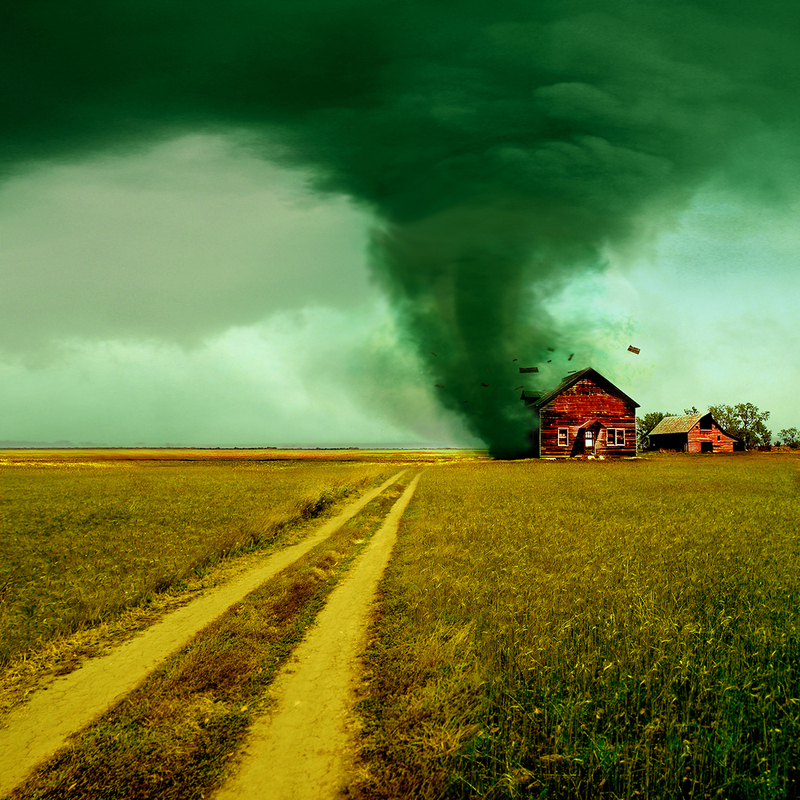 A tornado is a specific term for when a violently spinning column of wind reaches from a cloud to the ground. If it doesn’t reach the ground it is called a funnel. A cloud that could create a funnel or tornado is called a funnel cloud. Tornados can have wind speeds of 300 miles per hour. Their path is extremely unpredictable, sometimes raising off the ground for a period before touching back down. Meteorologists and emergency service personnel stay alert to changing weather conditions, and can issue two types of alerts. Tornado Watch – This means conditions are favorable to develop severe thunderstorms, which can lead to tornados. It does not mean that danger is imminent, but it is good to stay alert. Think of it as a yellow light condition. Tornado Warning – This means a funnel or tornado has been spotted by a ground observer, or that meteorologists have observed rotation on Doppler radar. If a warning is issued, you should seek shelter immediately. This is a red light situation. Within city limits, tornado sirens alert residents to the possibility of danger. Warnings are also issued on TV and radio, and even many smart phones are capable receiving emergency signals. But what if someone isn’t within earshot of the tornado siren and doesn’t have the television or radio on? You can still provide warnings through CallingPost’s automated phone messaging system. Simply record one message and send it out to everyone in your group. It’s a quick and efficient way to reach a large number of people quickly. To learn more, visit CallingPost.com.